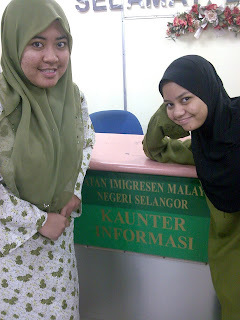 Miss HELANG: Jabatan Imigresen Malaysia in Selangor The Best! InsyaAllah, I will be going to Singapore with 8 of my friends. 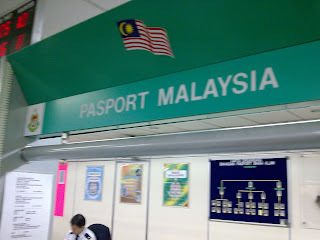 Well, for your information, this is my first time go outside Malaysia. There's one time i asked my mum ' mak, napa kita x penah bercuti luar negara? kawan adik ramai suda pg". Then, my mum answered "bercuti dlm malaysia pun belum abis , mau pg luar". 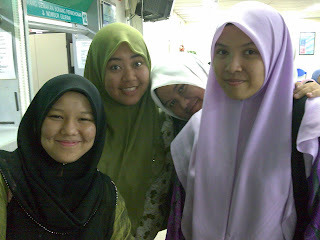 Now, my friends and I already in final year. So, we planned going to Singapore since from the beginning of this semester. Last year 9 of my friends were going to Sabah and stayed at my house n promenade hotel apartment. About the budget, they planned it carefully, so it will not overestimate the total overall budget. I'm very impress of my friends on how they managing their cost for this fascinating trip. But, i do think the trip still not enough as they only stayed for 5 days. Sabah has many beautiful places to go. Spend for about 2 weeks to discover it. Trust me! 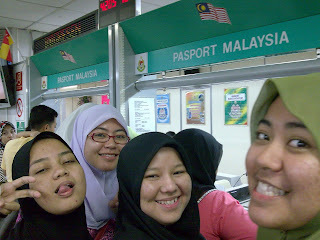 For 2010 trip, we decided to go Singapore. There is offer by outside travel agency RM150 for 2 ways ticket + tourist guide provided + pasport group. The trip is only for one day. From 22/01/2010 nite until 24/01/2010 morning. We all gonna sleep in bus. I think the price it's quite cheaper than i expect. We'll gonna use Bas Persiaran on that day. 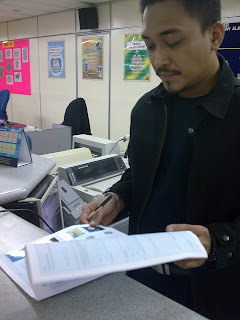 Last Saturday, all Malaysians who do not have pasport have to go to PKNS Selangor to make our pasport group. 8 am we already on the road as the place is far away from IIUM Gombak. 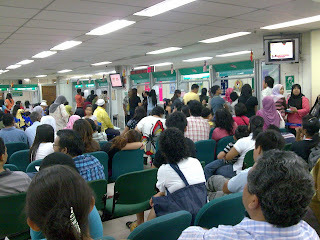 When we reached there, we're jolted by thousand of people were waiting to do pasport also. Wait n wait n wait for almost 3 hours, our names were called n the person who in charge at the counter SMILE and serving us as FAST as he can. 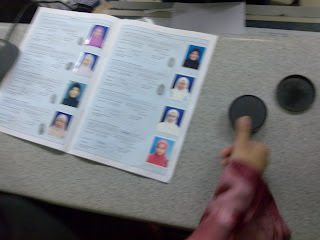 Thumbs up Jabatan Imigresen Malaysia! It shows your motto "MESRA" has been practice by the workers. Seriously checking our pasport form, so there will be no problem insyaAllah..
p/s: still try managing the budget going to Singapore as the currency will be change. RM 2.49 for 1 singapore dollar.